I can’t wait to ring in the new year! Granted, 2009 was still an exciting year — mostly because I graduated from college — but between the severe economic downturn and the fact that it was a terrible time to be welcomed into the working world, I won’t be nostalgic for it. Anywho, in anticipation of 2010, here are some beautiful and stylish planners. What better way to up the ante on the excitement than to map out next year’s adventures? Exactly. I hope they inspire you to jot down some ideas and adventures for the your year ahead! I’ve already picked up a handsome, handmade copper-leather planner by Gallery Leather, but I fell in love with the prettiest planner by Laurel Denise when I saw it in a store today. Elegant and perfectly useful. You can’t tell from the picture, but it’s actually a gorgeous shade of robin’s egg blue (or a softer Tiffany’s blue). 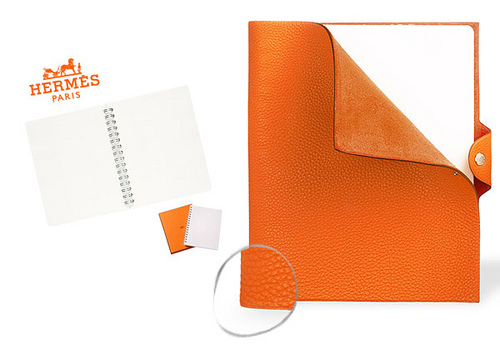 Crisp and clean weekly and monthly formats, complete with generous pages, to-do lists, and inserts. It has a sturdy hardcover, tabulated months, perforated note-sheets and other handy details that are all solidly spiral-bound. It’s really beautiful in person. I love that it’s so well-designed — plenty of style and substance. Overstock has the lowest price and shipping rate, but Amazon is just as competitive. You can also pick them up at Chronicle Books or Borders! I’m really digging the brilliant colors. Thin, light and smart, this set is a clever solution for those who are commitment-phobic or who are always on the go. 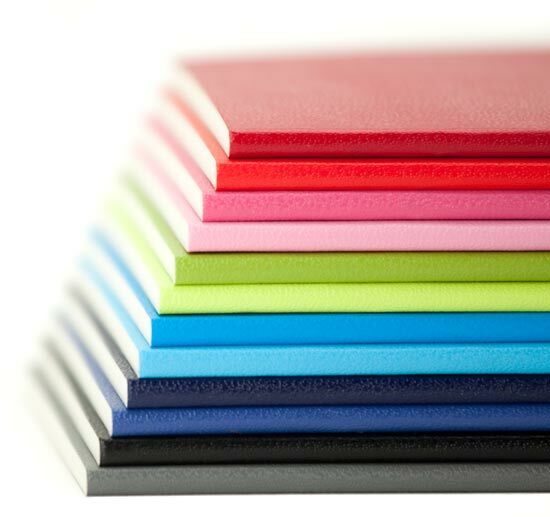 12 vibrant colored notebooks for each month of the year in signature Moleskine style and quality. This is a brand new design from Moleskine, and I think they really succeeded in appeal. The set comes bundled in a Moleskine cover, with archival quality paper. Amazon comes through with a low price and free shipping, with Overstock as a close second. 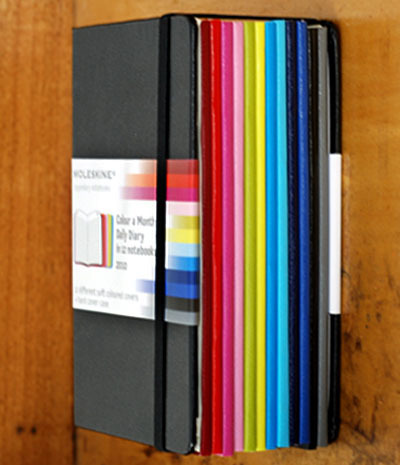 You can also order through Moleskine. Fun and quirky. 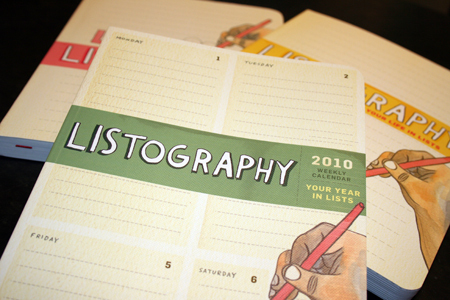 Listography books are fun journals for lists (perfect for both the Type-A list-maker and the perpetual procrastinator who has a list of things to do….someday). I love, love, love Gallery Leather planners. They’re simple, practical and stylish. Hand-made in Maine, they’re classic, well-made leather planners with a contemporary twist. They come in so many handsome colors and styles. 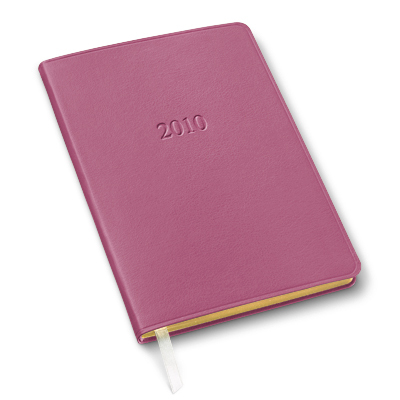 Rounded edges with an embossed year, archival quality paper and a satin ribbon page-marker. They’re really durable (I’m still using an old planner from 3 years ago as a mouse-pad), so I like to think that they’re ruggedly elegant :) I love giving them as gifts. I got mine for $14 at a bookstore. PS, Gallery Leather is now having a special free-shipping offer going on their site until December 15th! I like that this is a discreet leather good with a luxe buttery feel. It’s refillable, so it’s a classic design that will always be useful no matter the year. It’s unisex and comes in rich colors (but I like the yellow and orange ones the best!). Happy planning and a toast to a happy 2010! thanks for including laurel denise in your post! i’m so glad you like the calendar!! and you’re welcome, Laurel! 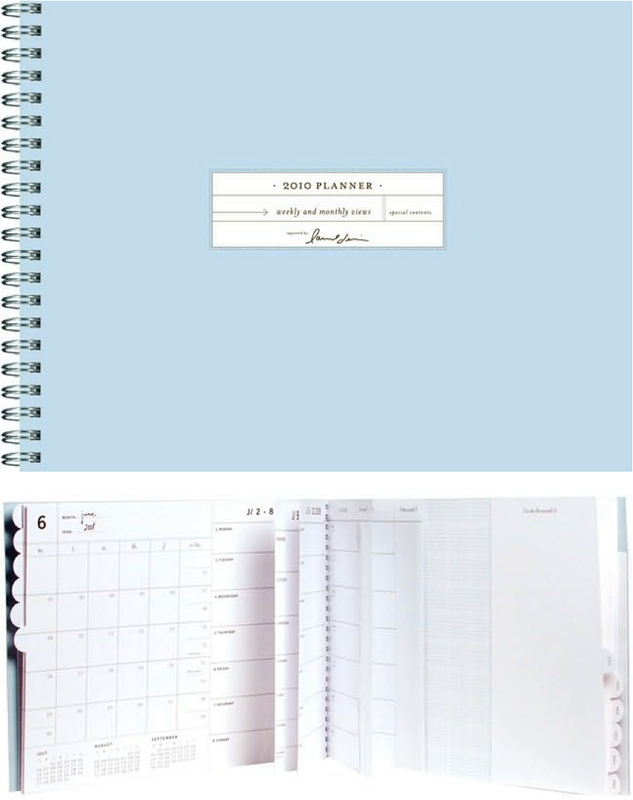 I really fell in love with it…it’s exactly the kind of planner I wanted!